Dr. Stone-Johnson received her Ph.D. in Curriculum and Instruction from Boston College. Her research focuses on the impact of mandated reform efforts on educators, specifically teachers in mid-career and teachers and leaders in struggling schools. In addition to this research, Stone-Johnson is also studying teacher leadership and the development of instructional leadership in underperforming public schools, and the challenges of large-scale qualitative research. Stone-Johnson previously taught middle school English in New York City through the Teach For America program. 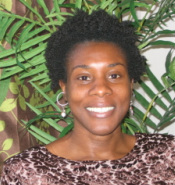 Currently, Dr. Stone-Johnson is an Assistant Professor in the Graduate School of Education at the University of Buffalo. 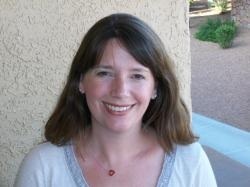 Kristin Kew serves as an Assistant Professor in the Department of Educational Management and Development at New Mexico State University where she is teaching Introduction to Educational Leadership in a Global Society, Management of Educational Change, The Principalship and Advanced Internship. Dr. Kew’s teaching and research interests include educational change, school reform, community organizing for social justice, the principalship, and leadership succession. She taught Organizations and Social Change and the Sociology of Gender and Race at Brandeis University. At Boston College, she co-taught Social Contexts of Education and Extended Practicum while supporting and supervising student teachers. Kristin began her career teaching K-12 French and later worked in educational management opening new charter schools in inner cities throughout the United States. More recently she assisted in the creating and managing of networks such as ILern, a prestigious group of international scholars and practitioners in the field of educational leadership. During this time she managed four International Summits that were co-hosted by Boston College, The University of Pretoria in South Africa, The National College of School Leadership, and the Specialist Schools Trust in England. She was Managing Editor of the Journal of Educational Change while completing her dissertation at Boston College on The Effects of Educational Change on Traditional High Schooling. Allison Skerrett is an Assistant Professor in the Department of Curriculum & Instruction at the University of Texas at Austin. She is a former secondary English teacher and taught in the Boston Public Schools for four years. Her research interests include adolescent literacy, secondary English education, and teachers’ identities and biographies particularly as they relate to teaching culturally and linguistically diverse student populations. She teaches courses such as Research on Adolescent Literacy In and Out of School and Teaching Secondary English and Reading. 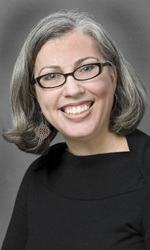 Her dissertation involved a cross-national analysis of the ways in which students’ racial and cultural diversity was addressed in English language arts curriculum policy in Massachusetts USA and Ontario, Canada; in the official curriculum of the English departments in two high schools, one in each context; and in the curriculum and instructional practices of individual teachers at both schools. She is currently involved in a research project that explores the in- and out-of-school literacy practices of a group of urban ninth grade adolescents and how their reading teacher draws on knowledge of students’ literate lives to inform literacy teaching and learning. She can be reached at ASkerrett@mail.utexas.edu.